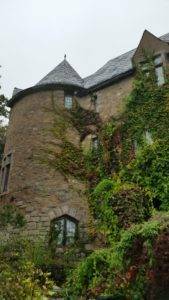 About John Hays Hammond, Jr.
First time visitors are often surprised to see a true European castle on the New England shoreline. 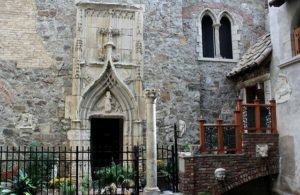 Hammond Castle was built in the late 1920s by scientist, inventor, and interestingly enough, an art connoisseur of the highest order, John Hays Hammond, Jr. (1888-1965). Sitting high on a bluff overlooking the Atlantic Ocean, the castle brings together a unique combination of art, architectural elements and culture, backstopped by many innovative technological applications, yet unknown and unseen by the visitor. Hammond was widely traveled, but had been exposed to the art and architecture of old European at an early age. He appreciated the eras spanning ancient times, through the medieval period, and into the Renaissance. He purchased a broad collection of artifacts for display, and created his residence around large stone archways, windows, wooden facades, and other architectural elements from the Old World. He was aptly described as a man of the future, but who chose to live in the past. The building he left behind is one of the truly unique structures on this continent, where visitors can experience being immersed in a true old Europe environment without actually being there. His vision for the building was for it to be medieval in style—yet bridging several periods—so as to incorporate his expanding collection of stand-alone Classical antiquities through 16th century architectural elements. The project began when he retained the services of one of the preeminent architectural firms of the time, Allen and Collins, formed in 1904, and which maintained offices in Boston. Hammond’s project eventually came to the attention of John D. Rockefeller, Jr., who had purchased a large collection of medieval artifacts in 1925, and was so inspired by what Hammond had done, he launched his own similar project on a site above Manhattan. It was to eventually incorporate pieces from five different European abbeys, and is known today as The Cloisters, an arm of the Metropolitan Museum of Art. Yet, as might be expected from an inventor, Hammond’s building was uniquely different. He included many features of his own design that were revolutionary and befitting the structure, and most are virtually undiscernible to the untrained eye. For example, Hammond’s collection of 15th Century facades was to be housed in the Courtyard being planned by the architects to meet Hammond’s vision of what a medieval village might be. Given the covered Courtyard was also to include tropical plantings, it was necessary to ensure a suitable level of humidity and space temperature. A pool was included to be the source of humidity. Steam pipes installed around the bottom perimeter of the pool to control water temperature, as well as to drive the correct amount of moisture in the air above. A green dye was also added as a decorative feature to obscure the depth of the water, which in fact, was a swimming pool. Overhead, steam-fed pipe-racks were installed just beneath the clerestory to offset radiant heat loss through the glass. Finally, a tropical rain downpour could be summed from above to water the vegetation, or if he preferred, a foggy evening. 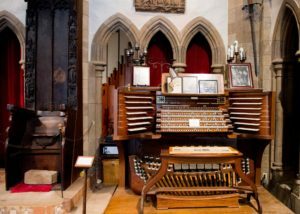 Perhaps the greatest item in Hammond’s residence is the gigantic pipe organ, an instrument designed and built by a collection of world-famous organ builders over a period of ten years. Consisting of 8,400 pipes it was the largest organ installed in a residence in this hemisphere, and second in size only to an organ in a certain Philadelphia department store. The design of the wind boxes, as well as the placement and installation of the organ within the Great Hall were in keeping with Hammond’s style. As much as the instrument had meant to Hammond, he could not play it. However, he did invent a device included within the console which could record what was being played, such that it could be accurately replayed, much the same way pianos (a much similar instrument) were beginning to do at the time. The organ was a centerpiece of the Hammond’s entertaining, and some of the greatest organists in the world were invited to play the instrument. Many returned after his death to give recitals.